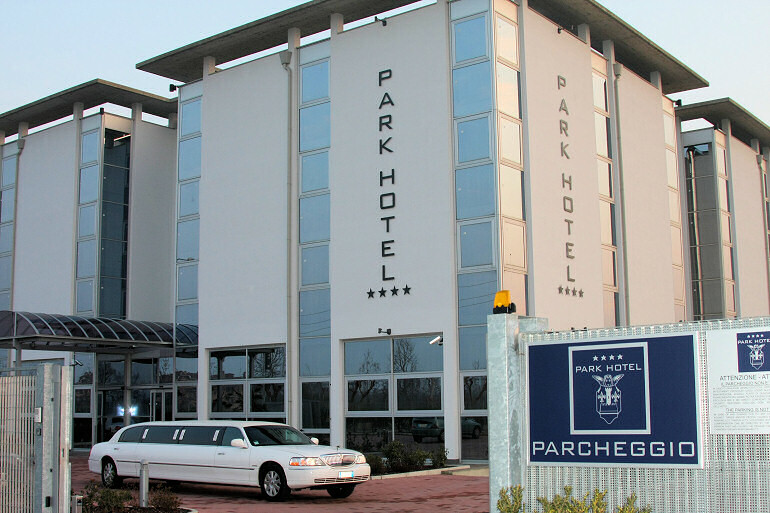 The Hotel Park is located behind the shopping center of the Agorà in Cassano d´Adda, a few kilometers from Milan and Bergamo. Near the exit of Trezzo sull´Adda on the A4 Milan-Venice, exit Pozzuolo Martesana / Melzo, exit of the A35 Milano-Brescia Treviglio (Bre.Be.Mi.) and halfway from the airports of Orio al Serio and Linate. Below you will find several itineraries that are easily accessible from this wonderful 4 star hotel located just a few kilometres from Bergamo. 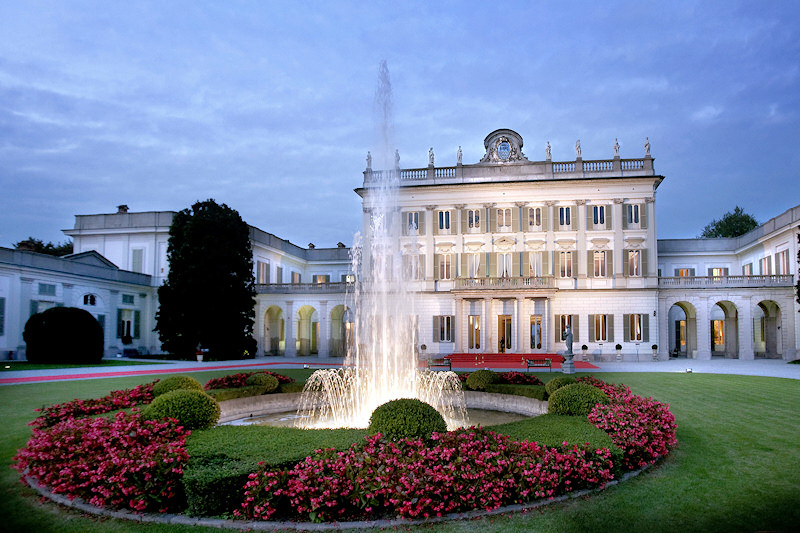 Located within a beautiful park of 70,000 square meters, Villa Borromeo D´Adda is one of the most prestigious and significant aristocratic houses. Gorgeous jewel of the late eighteenth century, today presents itself as one of the most famous and evocative location for events. 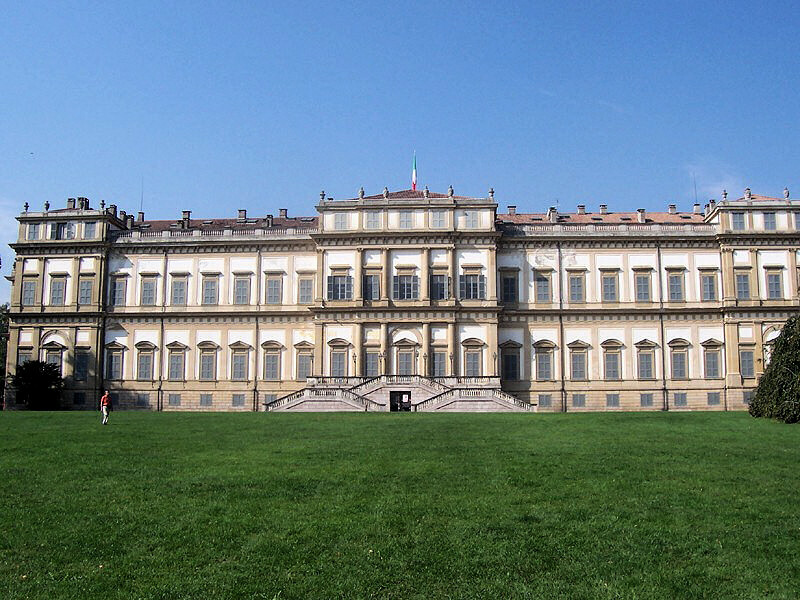 The Royal Villa (Villa Reale) built between 1777 and 1780, commissioned by the archduke of Austria, Ferdinand, is one of the most important neo-classical buildings in Italy. The Park of the Villa, covers an area of 800ha, is a great opportunity for outdoor sports, recreation, wellness and socialization. The famous racing track, built in 1922 on the initiative of the "Automobile Club of Milan", is situated in the northern area of the park and it is open all year around. Important event are held here like the F1 Grand Prix. 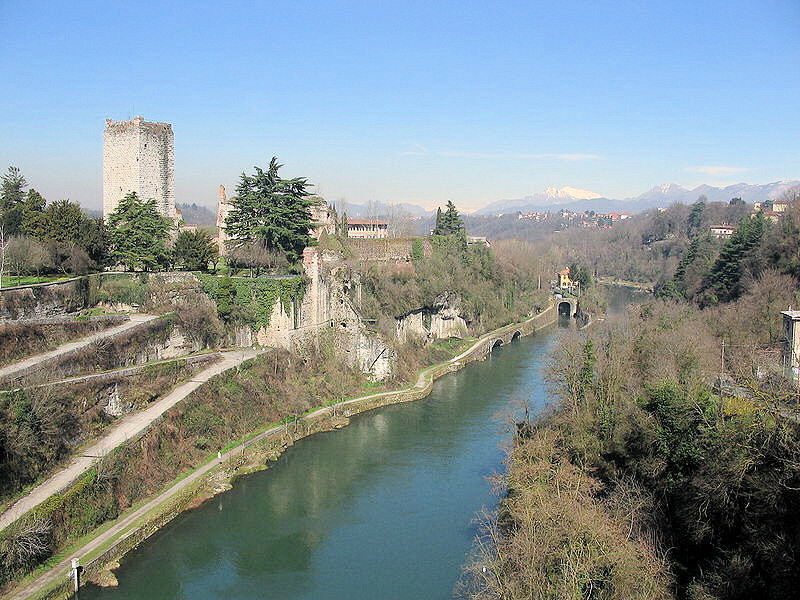 A canal about 38 km long finally completed in 1496 by Ludovico il Moro alongside the old Roman road through the Adda on two branches, Vaprio and Cassano. 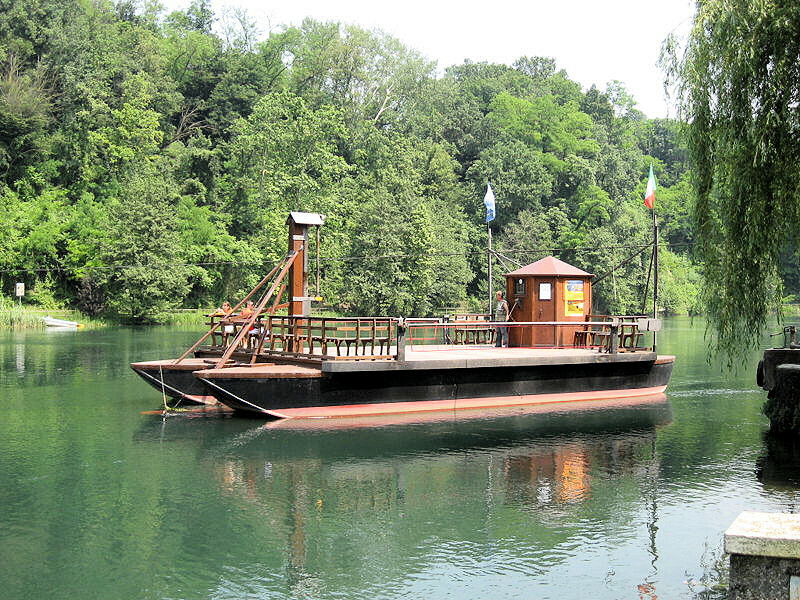 The route navigable by boat takes visitors to places of great historic and artistic interest: Bussero, Cassina de´Pecchi, Gorgonzola, Bellinzago, Inzaghi, Cassano d´Adda, Vaprio D´Adda, Dairago, Trezzo sull´Adda. Navigation is active from April to October on Saturdays and holidays, or for groups only previous booking. For those seeking a more "adventurous" experience you can go rafting down the river between Porto d´Adda and Trezzo, or try a trip in a canoe. 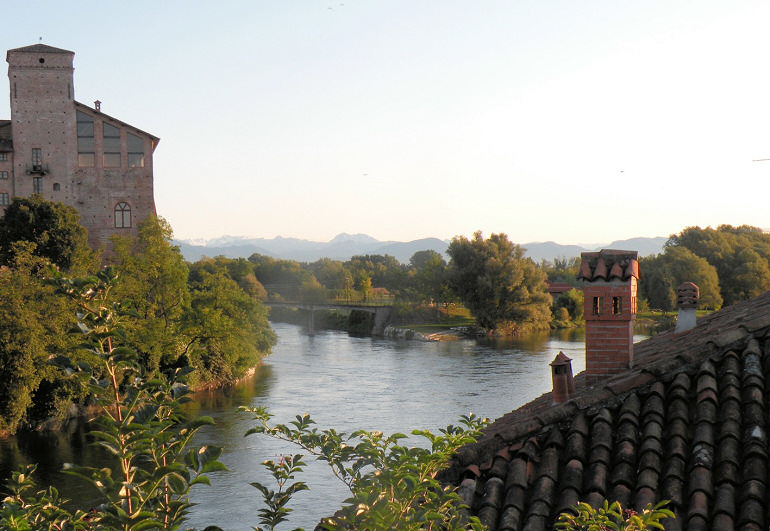 Historical, cultural, natural walking and cycling trails, to discover Leonardo´s fingerprints in the extraordinary landscape of the middle course of river Adda. 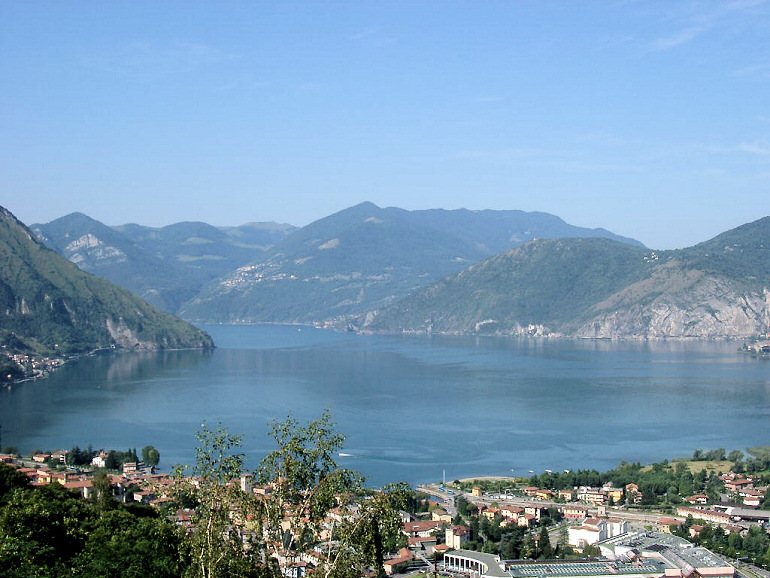 Approximately 5 km long, the route is developed as follows: the hydroelectric plant "Semenza", the dam and the valley of navigation; the bridge Rothlisberger, the Forra d´Adda and glacial morphology; the "Old Dam" Paderno; the Paderno Canal; the "three horns" and the Leonardo landscape; the eco-museum station Stallazzo with Leonardo´s rooms and the interactive gallery; the hydroelectric plant "Bertini"; the Leonardo´s ferry of Imbersago. 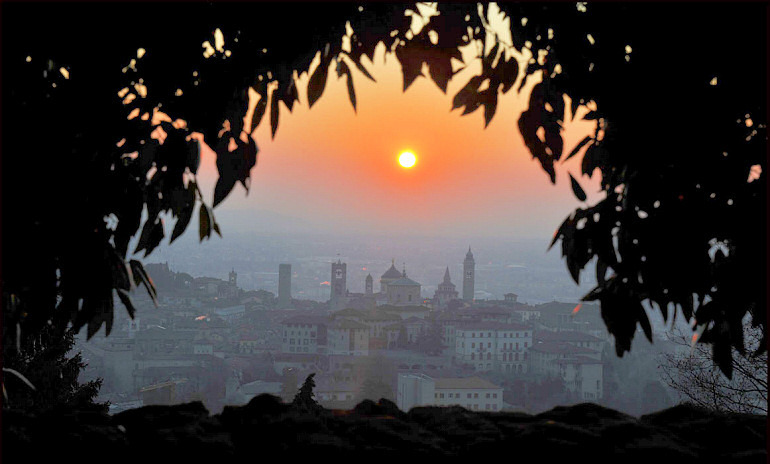 Find out how simple is to reach us..
Bergamo - Orio al Serio at 25 km. From here, you can booking, our shuttle service (extra fee). - From Motorway A4 Milan - Venice exit at Trezzo sull´Adda and continue straight on 8 km and follow the directions for Vaprio / Cassano d´Adda on the SP104. - From Motorway A1 Milan - Rome exit at Melegnano and follow the SP39 direction Melzo / Cassano d´Adda. After take the SP104 (Via Cassanese Nord). The Hotel Park Motel is at the entrance to town and can easily be seen from the road. 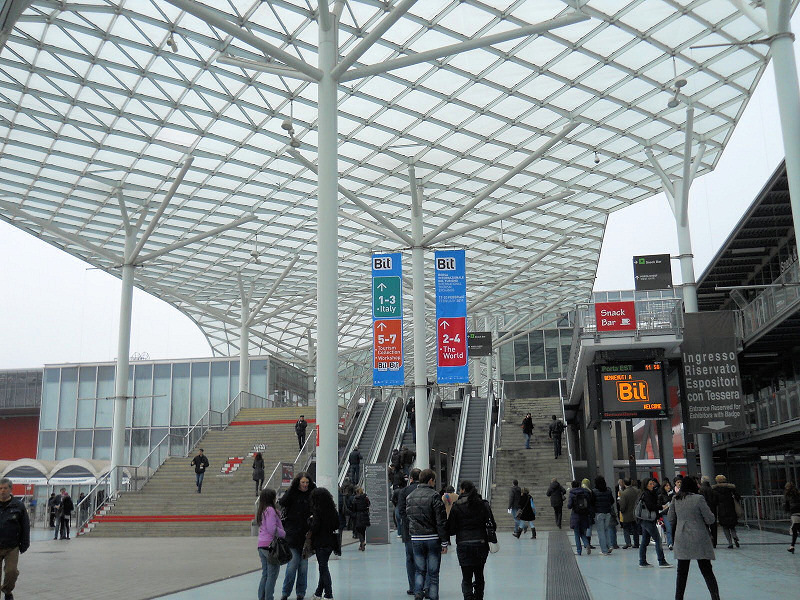 The town of Cassano d´Adda is served by the "PASSANTE" (passing) railway line which connects it to the main areas of Milan including the city centre and the nuovo polo fieristico FieraMilano a Rho-Pero (new Rho-Pero Milan exhibition centre). From the train station, located a few kilometres away from our 4 star hotel, you can take a taxi or request our shuttle bus service (additional payment). From the hotel you can reach by car in just 20 minutes the airports of Linate and Orio al Serio, thanks to Bre.Be.Mi. The tollbooth of the new road which connects Milan to Brescia is only 5 minutes away: between Pozzuolo Martesana and Melzo for those coming from Milan and at Treviglio arriving from Brescia. Again, thanks to Bre.Be.Mi will enter the new outer ring road of Milan and from there comfortably take the A4 Milan-Venice or the Autostrada del Sole (A1).